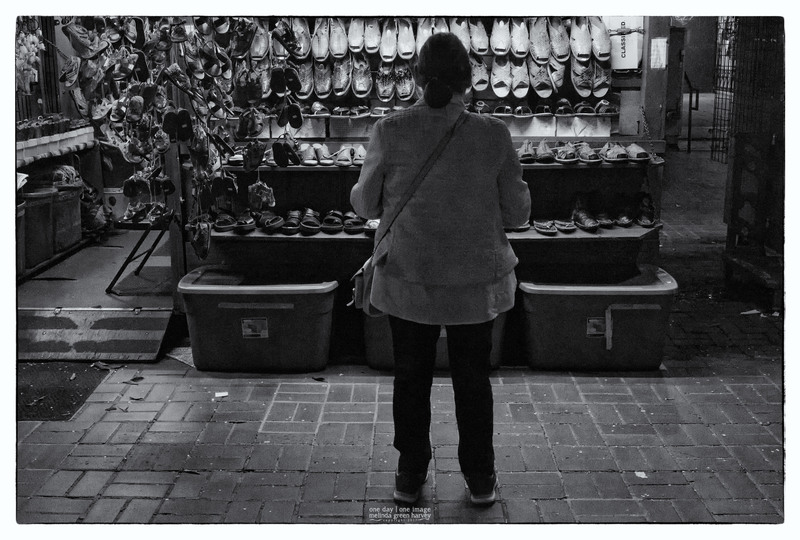 A woman briefly considers the shoes, but then moves on. Posted on March 8, 2017, in Photography and tagged 365 photo project, black and white photography, california, LACP, learning to see, Leica, los angeles, los angeles california, melinda green harvey, monochrome, one day one image, photo a day, photography, postaday, thoughtful seeing. Bookmark the permalink. 3 Comments. Quizás volvió más tarde para algunos zapatos nuevos!